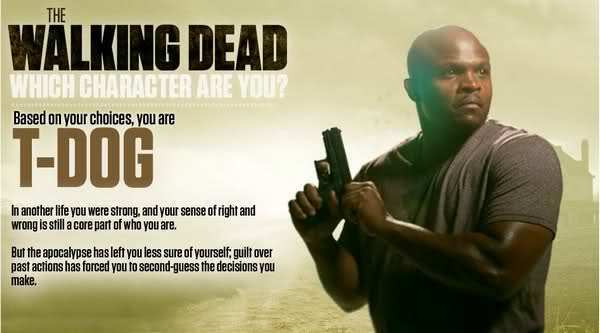 I did several tests like that. 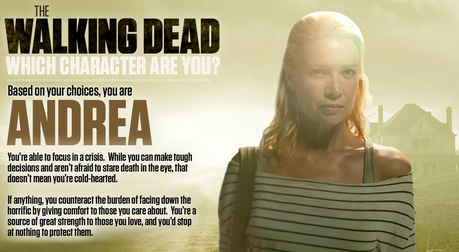 One was what kind of survivor are you and I got 'Strong Mom'. 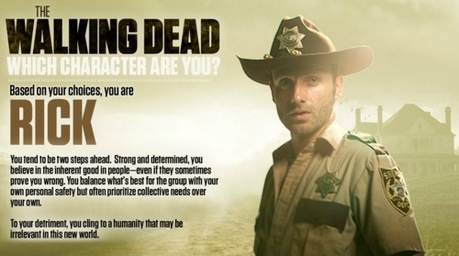 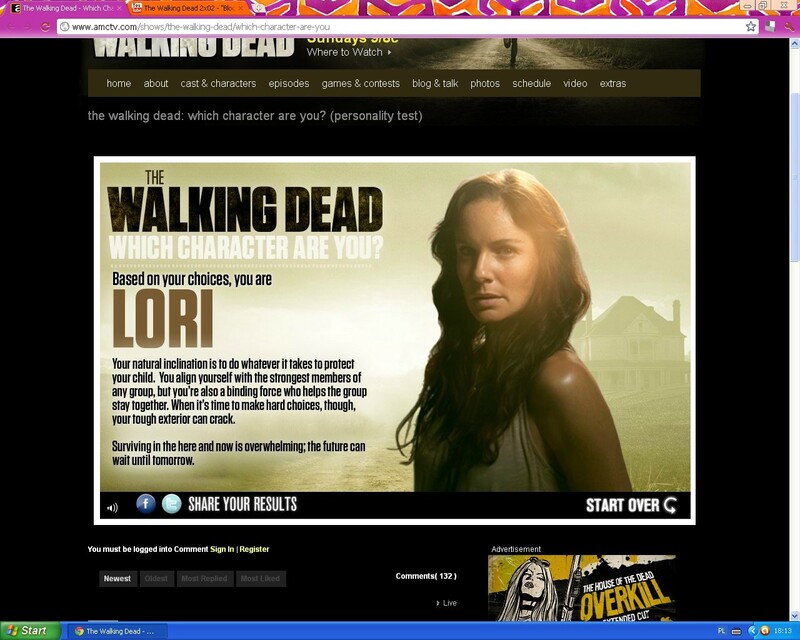 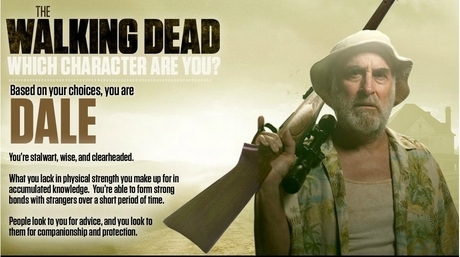 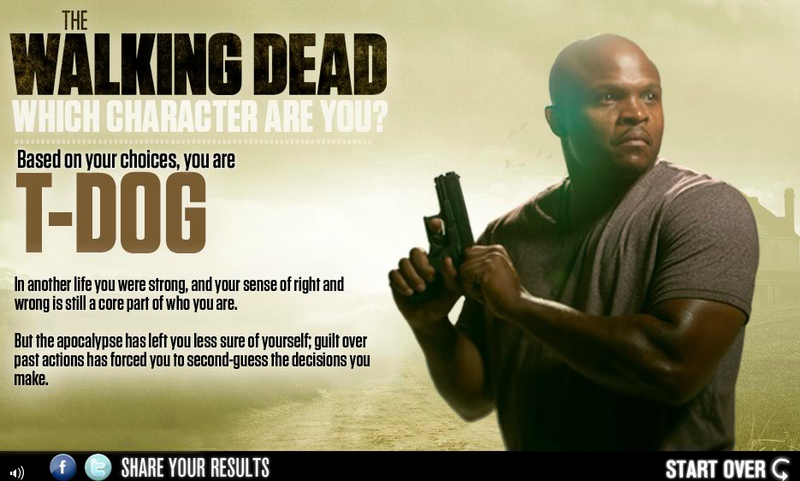 The others were same as this one, which character are you, once I got Carol, once Rick & once T-Dog. 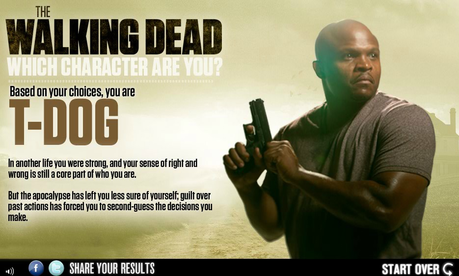 It's the second time I get T-Dog.